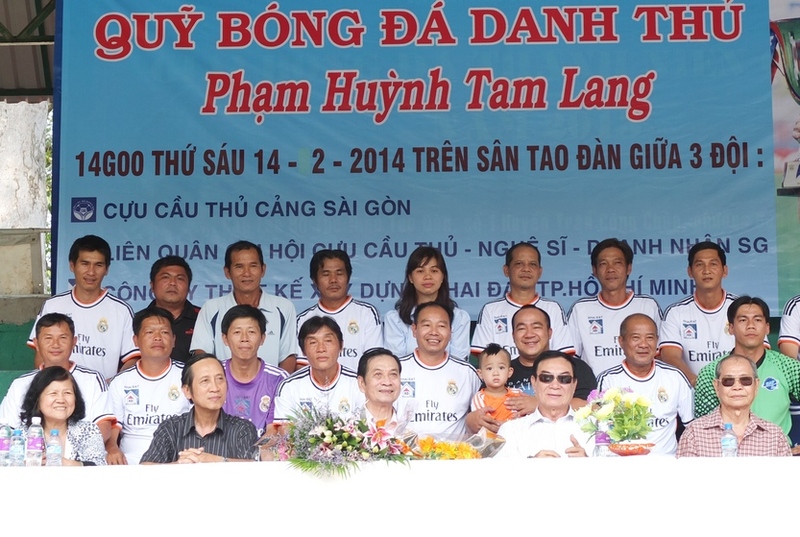 In the evening of February 14th, at Tao Dan pitch ( Ho Chi Minh City) ” Pham Huynh Tam Lang foundation” tournament has called for donation more than 45 million VND. 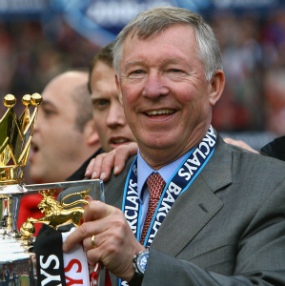 This tournament is really meaningful because It is hold on the 72th birthday ( 14-2-1942 and 14-2-2014) of former famous player, Pham Huynh Tam Lang. 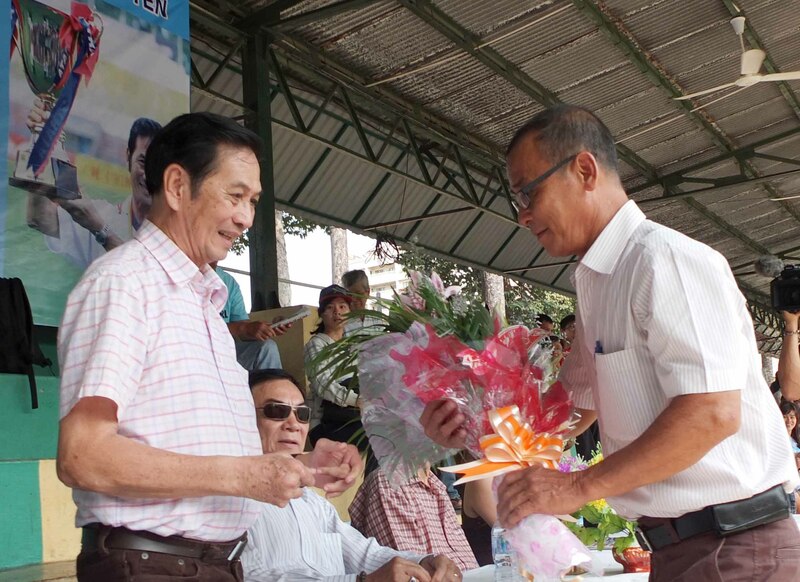 There are three attendants : former Sai Gon harbor players, association of Ho Chi Minh City former players and journalists, artists. 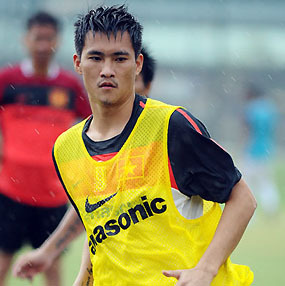 Pham Huynh Tam Lang can’t play with his team mates: Ho Thanh Cang, Duong Van Tha, Tran Van Xinh… Staying on the standings, he always shows his happiness when watching games. Especially, many audiences have come to meet and talk to idol. 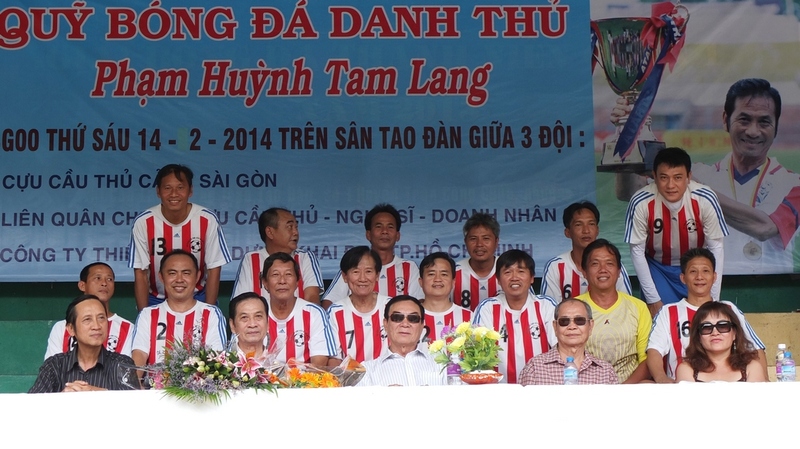 ” Pham Huynh Tam Lang foundation” is also announced this occasion. 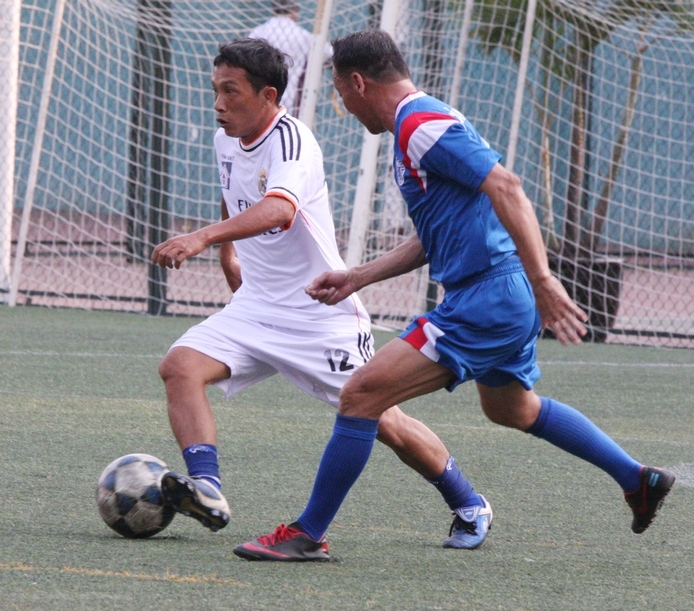 This idea come from association of Ho Chi Minh City former players aimed to funding support for Pham Huynh Tam Lang as well as supporting other players and young talents. 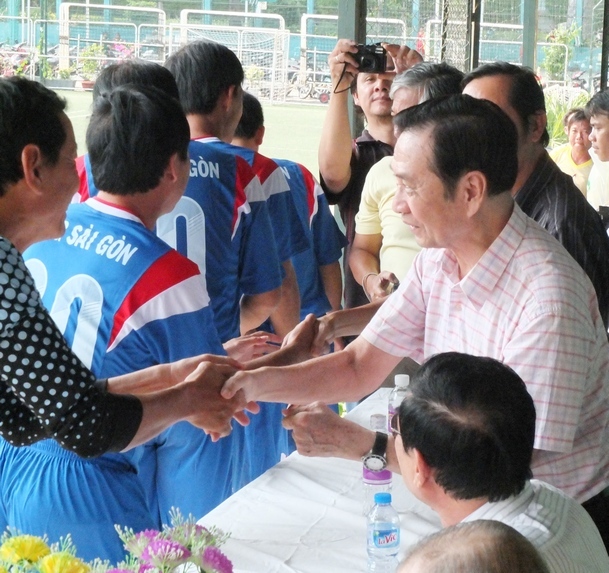 Journalist Ho Nguyen, present general secretary of association of Ho Chi Minh City former players is one of the first member of idea hoped that Pham Huynh Tam Lang would receive supports and that was the way players show their love to a famous player.